Updating and reformulating Aaron T. Beck's pioneering cognitive model of anxiety disorders, this book is both authoritative and highly practical. 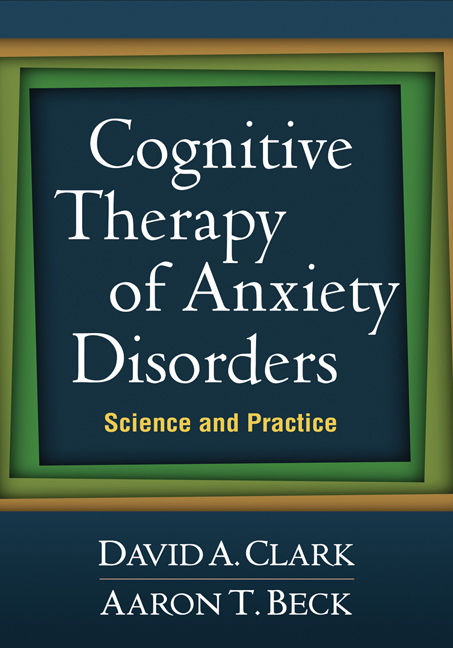 The authors synthesize the latest thinking and empirical data on anxiety treatment and offer step-by-step instruction in cognitive assessment, case formulation, cognitive restructuring, and behavioral intervention. They provide evidence-based mini-manuals for treating the five most common anxiety disorders: panic disorder, social phobia, generalized anxiety disorder, obsessive-compulsive disorder, and posttraumatic stress disorder. User-friendly features include vivid case examples, concise "Clinician Guidelines" that reinforce key points, and over three dozen reproducible handouts and forms. Winner—American Journal of Nursing Book of the Year Award!